Established in 1993. Canadian Bedding is now celebrating over 25 years in the Durham Region. After a long day’s work, nothing beats getting a good night’s sleep on a comfortable, high-quality mattress. 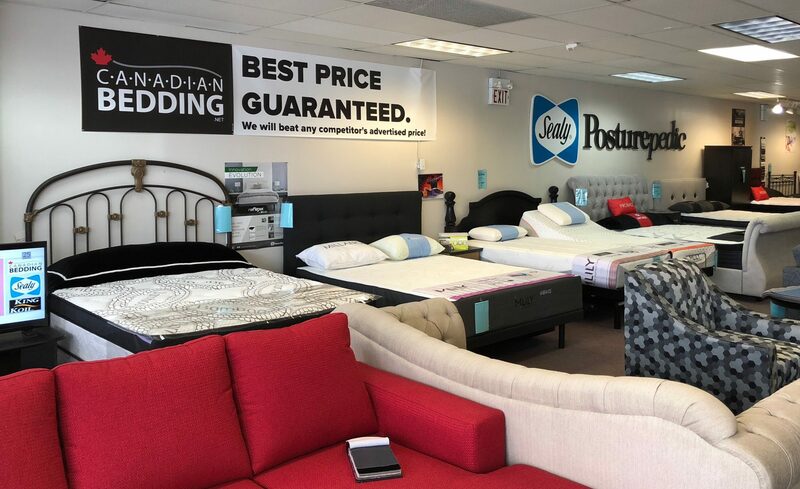 Based in Ajax, Canadian Bedding is your one-stop-shop for variety of mattresses, sofas, futons, sheet sets & pillows, beds and more! Please head to the showroom to feel the comfort of the products that you deserve. We have been providing Ajax, Whitby, Oshawa, Pickering & the GTA comfortable, quality and stylish bedding & furniture for over 25 years.